Filipinos love the Christmas season, and we start celebrating the festivity pretty early in the country. No where else in the world can you hear the tunes of Christmas carols being played as early as September 1, but in the Philippines. 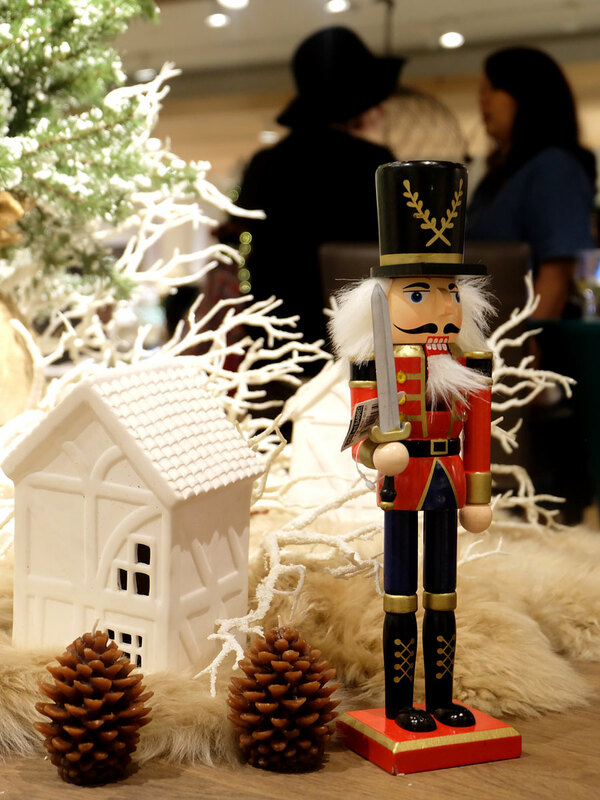 You start seeing hints of the season in homes, as families start bringing out their trees and festive baubles. 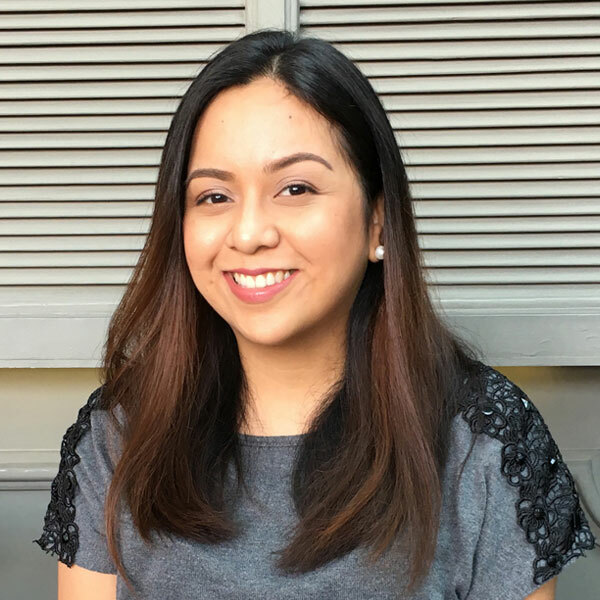 In the Philippine culture, Christmas is the time for bonding with family, rekindling friendships, sharing meals, and gift-giving. 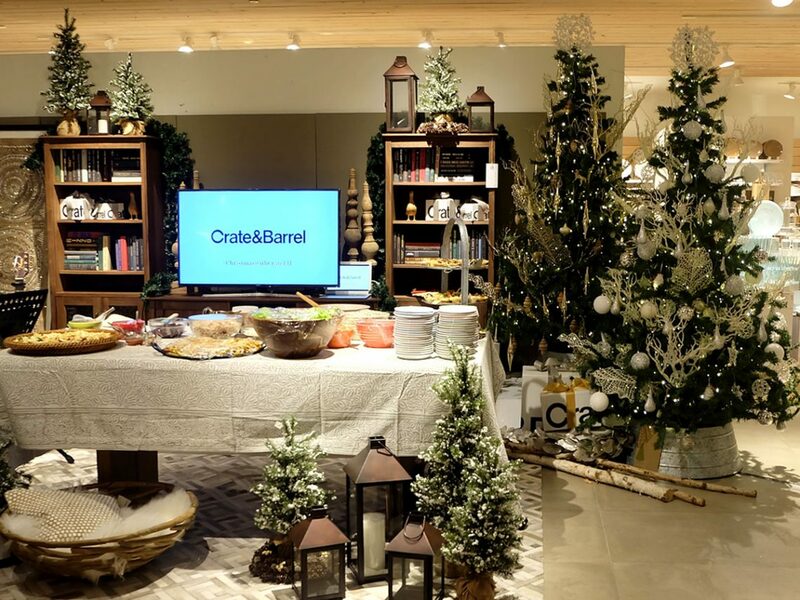 Crate and Barrel Philippines has embraced this spirit, and this year they launched their #ChristmasWithCratePH early for us to enjoy. 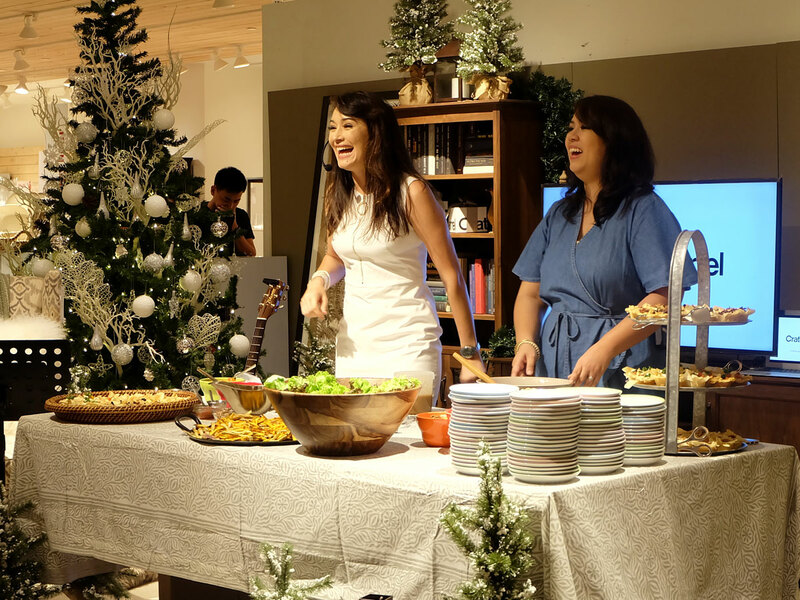 Together with Mothers Who Brunch, Crate & Barrel Philippines invited friends for an afternoon of merry food, drinks and conversation, as they shared what was in store for all the holiday shoppers. 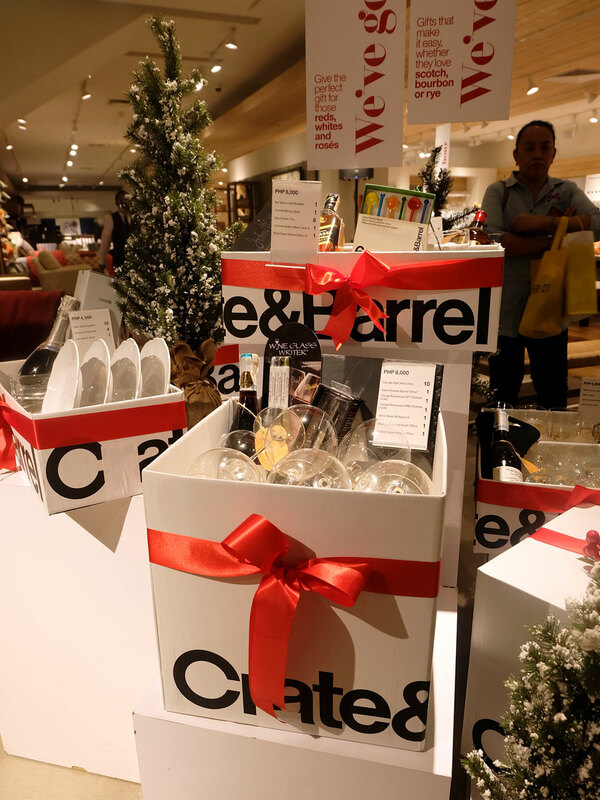 In the true spirit of gifts that inspire giving, Crate & Barrel will be celebrating the 12 weeks of Christmas by giving away free gifts! Shop a minimum of P8,000 and you receive special items from their gift cart. 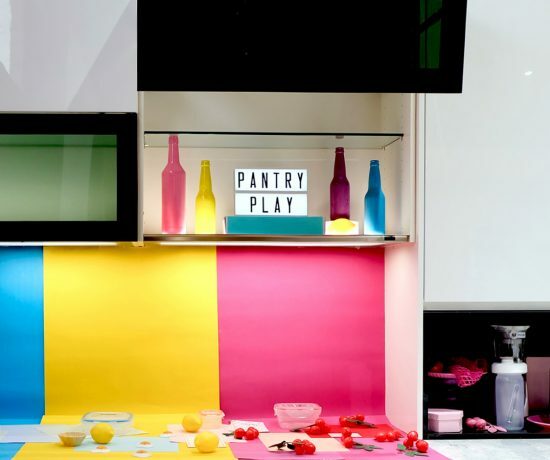 Lots of pretty home and kitchen goodies are up for grabs! I have my eye on those wine glass markers, glass bottles and pretty napkins! 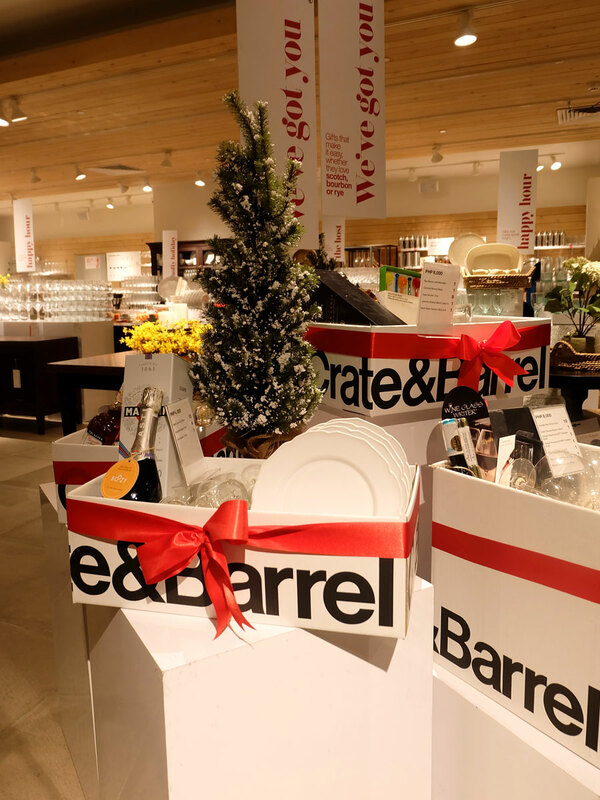 For easy Christmas shopping, Crate & Barrel has prepared an assortment of gift boxes for everyone to choose from. 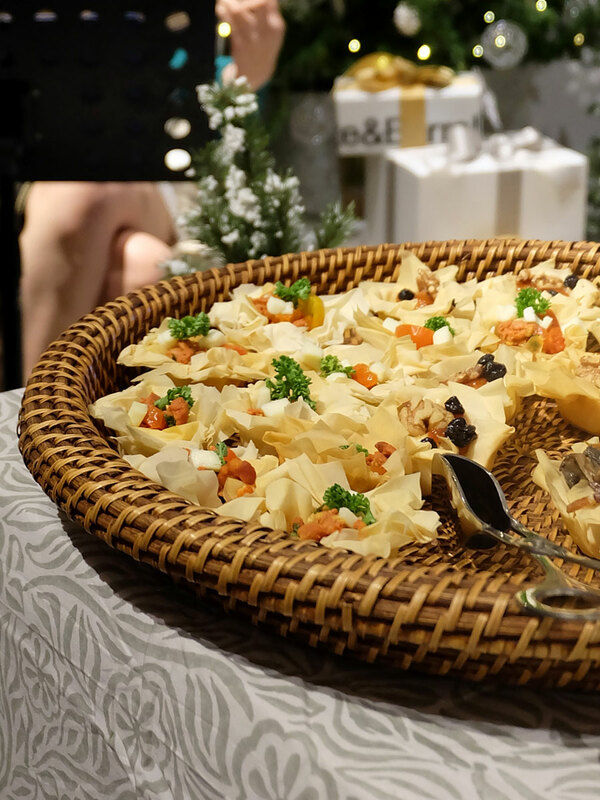 Wether you’re looking for a well-curated hamper to give as a gift, or you’re hosting a dinner get-together and are in search for a party-ready update on your table and drink ware, they have it for you! 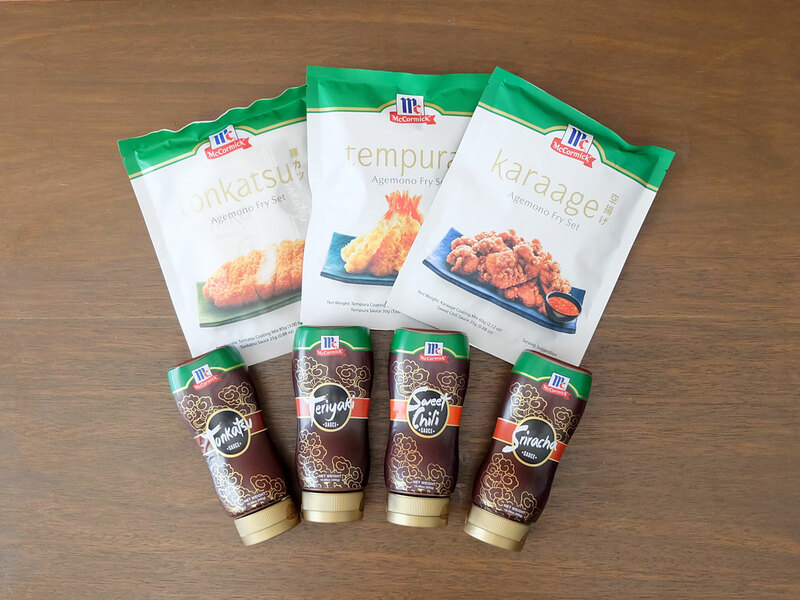 In partnership with Boozy PH, each box also comes with a bottle of goodness for those Happy Hours! Perfect gifts, especially for those who love to entertain with their drinks! 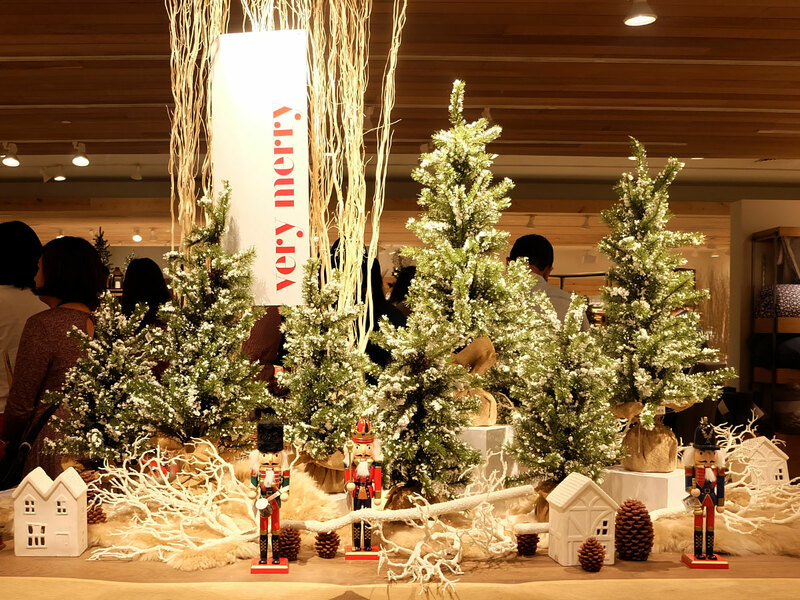 Drop by their stores on the weekends and get treated to cups of hot choco and Christmas cookies, while you shop too! 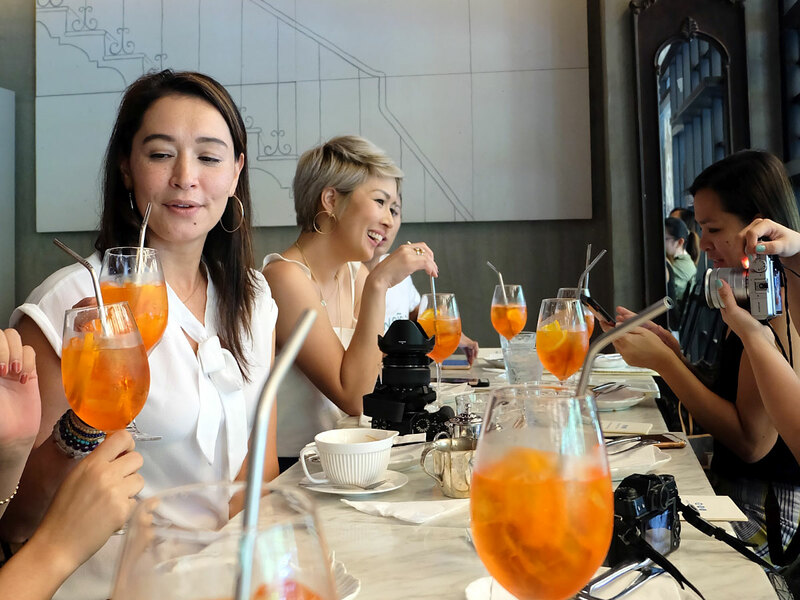 The Mothers Who Brunch duo, Mish and Sab, also shared some easy-to-prepare party recipes to everyone. 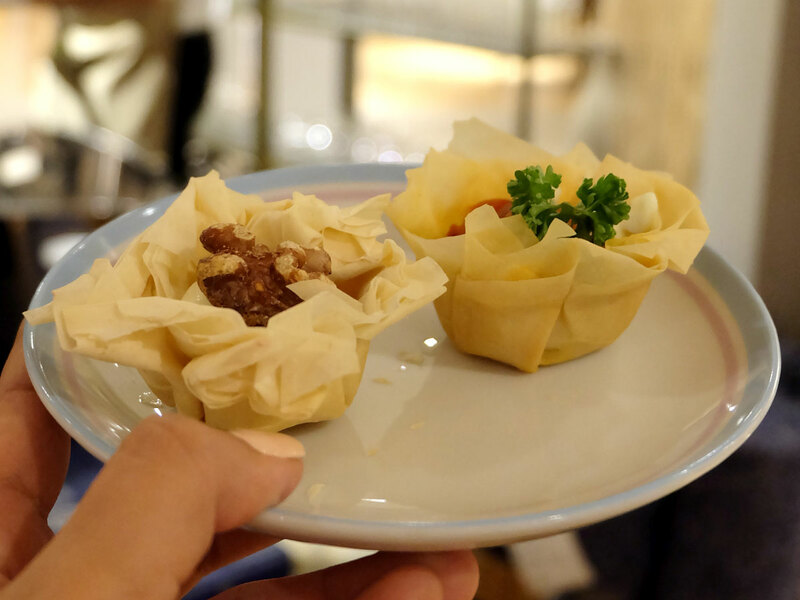 They demonstrated how to use Phyllo pastry to make quick and yummy appetizer cups, perfect to add to those holiday spreads! 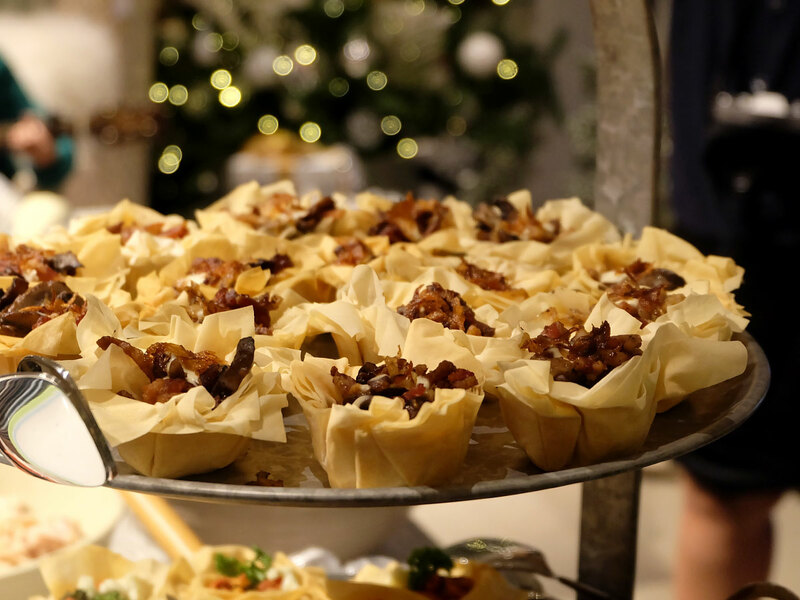 These were filled with bacon, mushroom and onion relish. 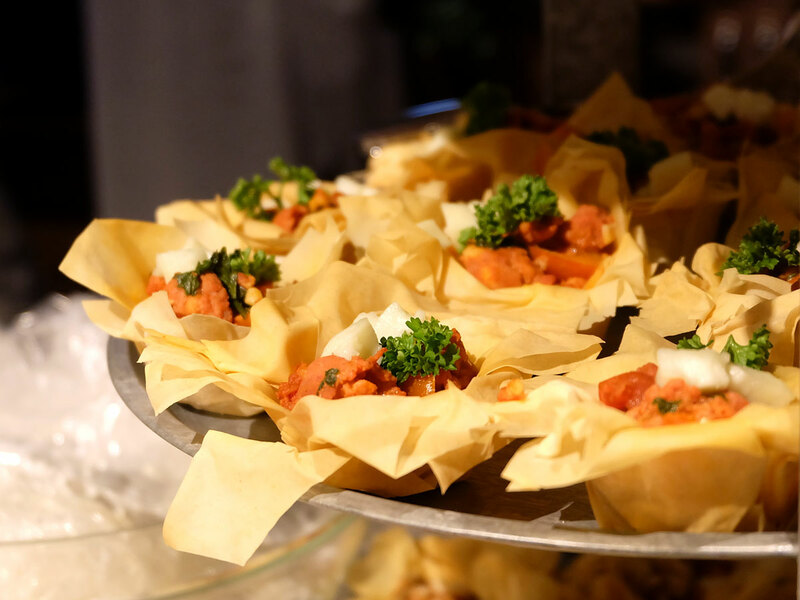 Chorizo, tomato and buffalo mozzarella in these cups. The one on the left: no-bake cheesecake with fig, tomato, truffle compote and walnuts. All three variants were delicious, but the cheesecake-lover in me couldn’t stop me from reaching out for more of the no-bake cheesecake cups. The hint of truffle added a lovely surprise in the creamy filling, my palate was doing a happy dance! Will have to try to recreate this at home, soon. 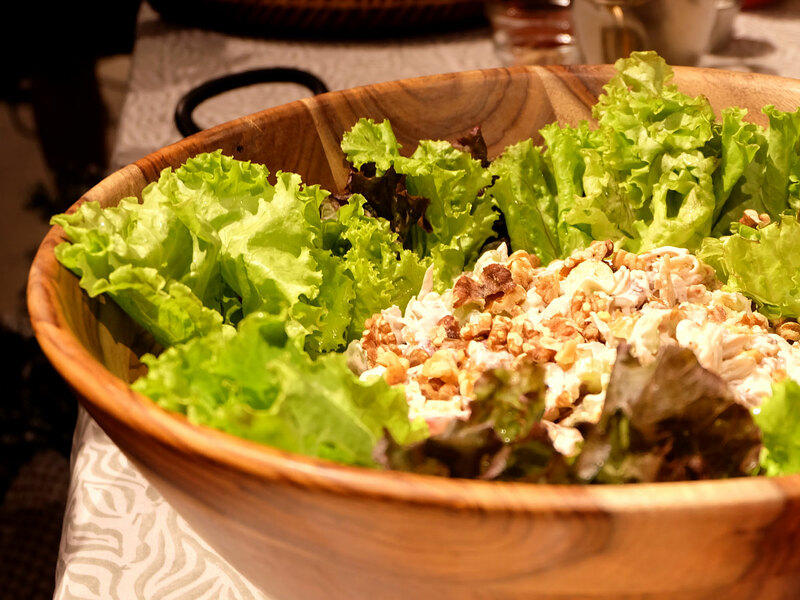 Mish and Sab also shared how to prepare this bowl of Chicken and grape salad. This dish hardly takes any time to whip up, and is a great way to use leftover rotisserie or grilled chicken. The freshness of the grapes and the crunch of the walnuts, makes this a light and yummy dish to add to those festive get-togethers. 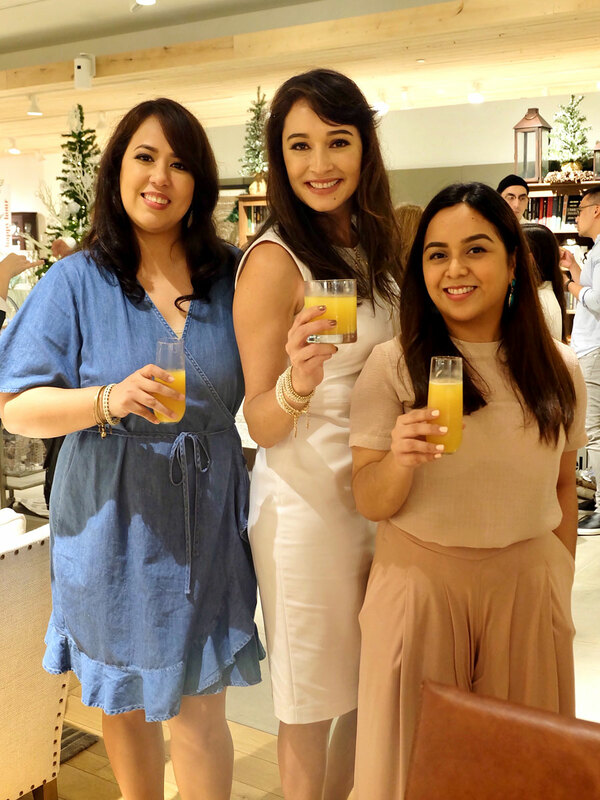 While enjoying our yummy festive faire, Boozy PH served drinks to get us a little buzzed. 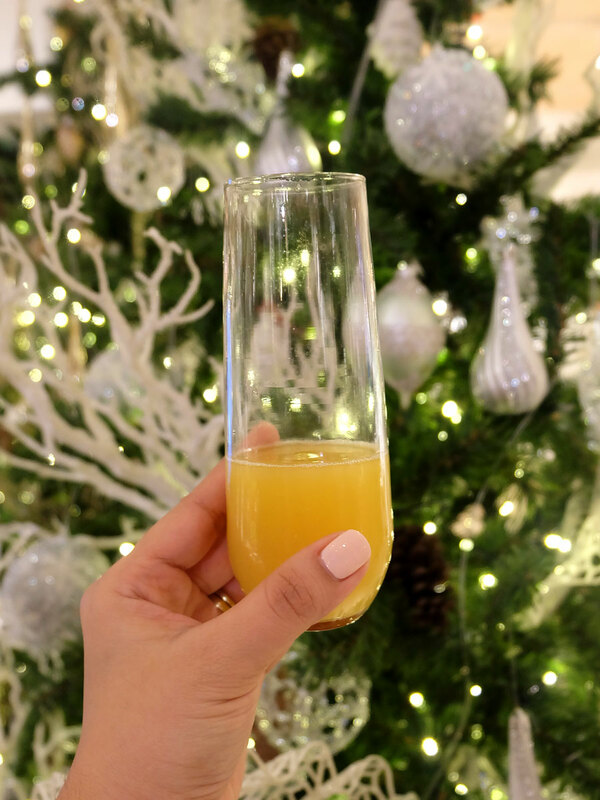 I enjoyed my mimosa while catching up with mommies friends, and meeting new ones, too! Thank you Sab and Mish for having me, and for never getting tired of sharing your love for food with other moms like me. 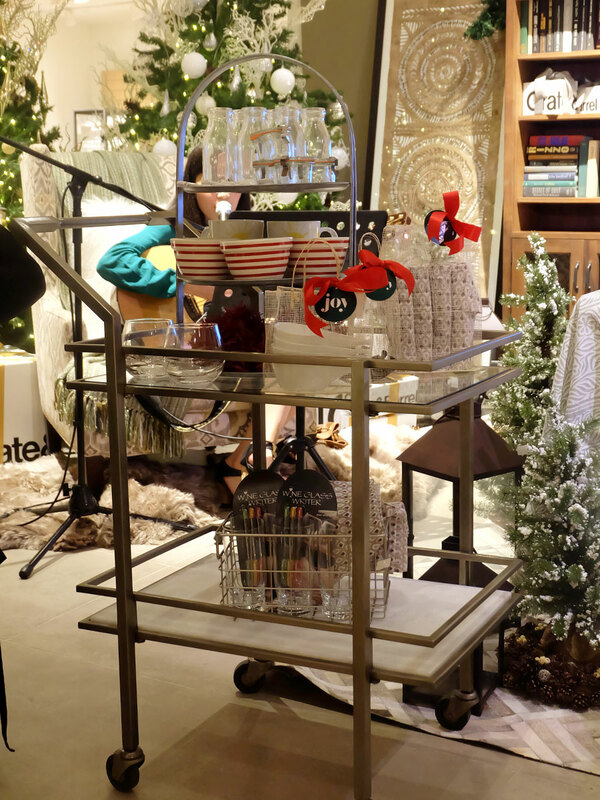 Its never too early to start shopping for Christmas, so head on over to Crate and Barrel and get inspired by gifts that spread the Christmas cheer. Thank you Anna for joining us as we kicked off the Holiday Season with Crate!! We are so happy that we get to entertain and feed you!! !